The latest model in the Humanscale Range, the M8.1 is a stylish, modern design that is built for durability. Perfect for users with large monitor screens and heavy use conditions. 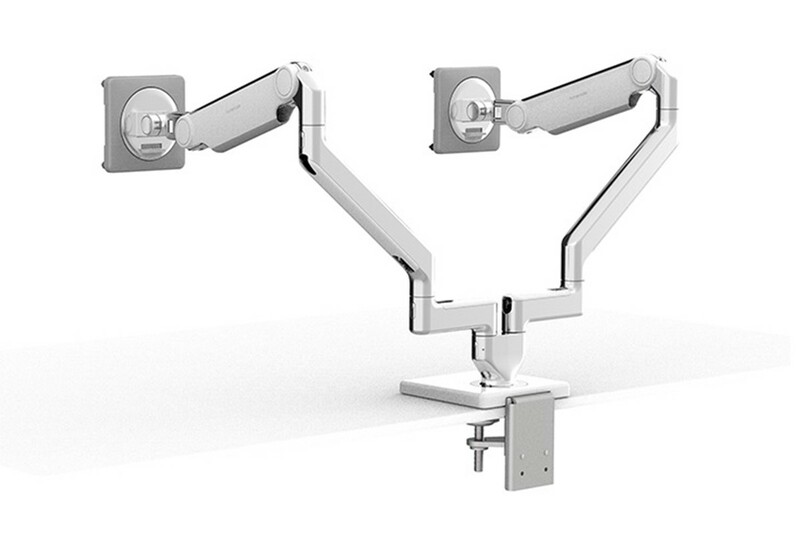 The single monitor arm is fully adjustable and compatible with almost any monitor on the market with an impressive weight capacity of 12kg. 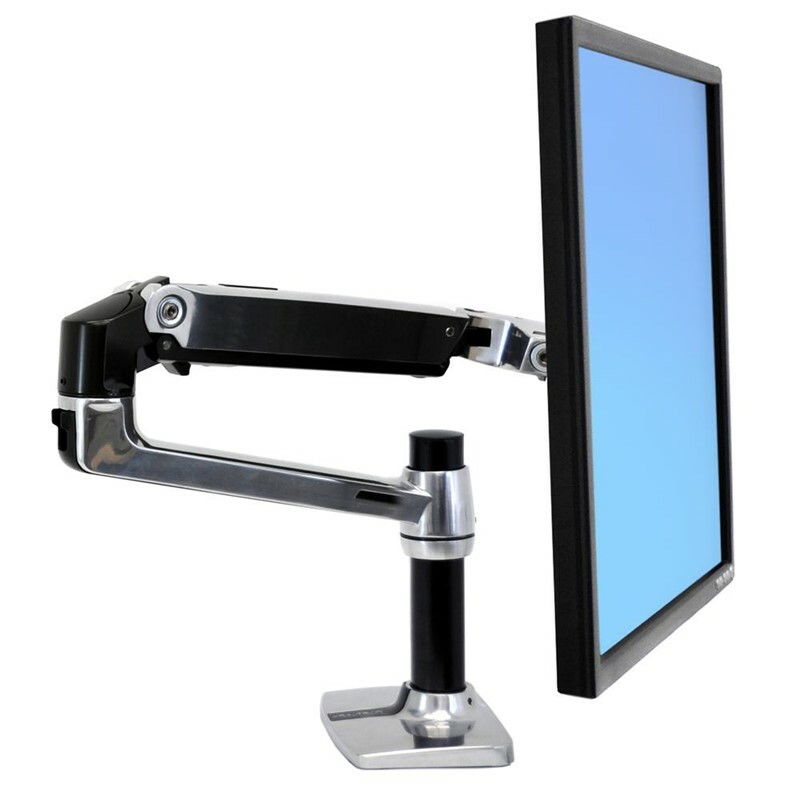 A heavy duty monitor arm perfect for larger screens or heavy use applications. The M8.1 is the newest, updated model and replaces the M8 with all new features. 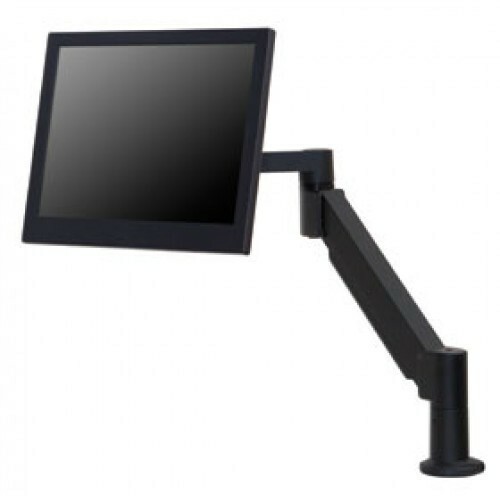 Thanks to its clever combination of friction axles and an internal counterbalance mechanism, the M8.1’s robust design easily accommodates heavy monitors (12 kg) while also providing the flexibility to support monitors weighing as little as 3.6 kg. 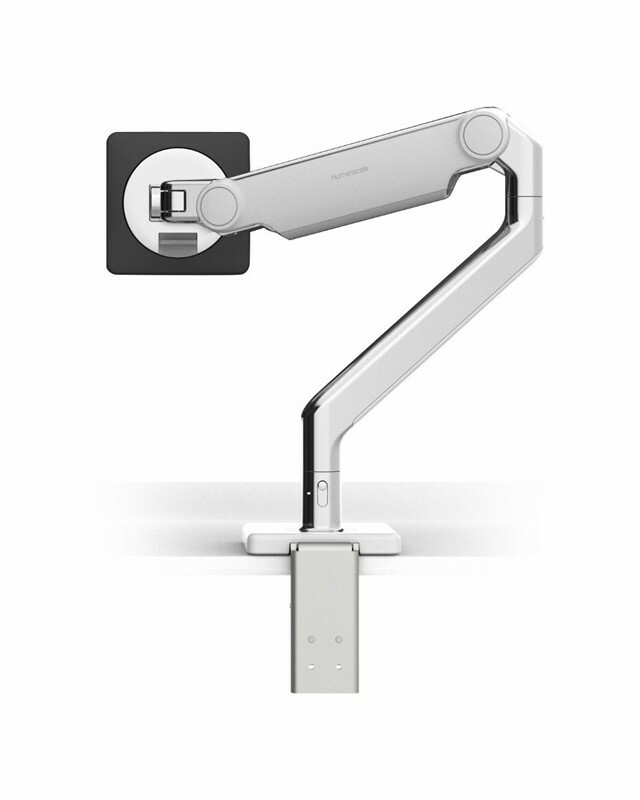 The M8.1 features like a quick release ball joint for easy monitor installation and removal and an integrated cable management system. It also has a revolutionary stop mechanism at 90° or 180° that prevents wall damage from over-rotation, or can be set for full 360° rotation. Its quick release, press and connect design makes assembly a breeze and eliminates the need for most Allen keys.